Usually, because we have the luxury of traveling anytime we want, we choose the off-peak season to travel around the world and spend the summer around the DMV area doing road trips and staycations. One of the things on my checklist this summer was to spend a weekend in Old Town Alexandria. We decided to stay at the The Alexandrian, Autograph Collection. The Alexandrian is a wonderful boutique hotel away from the hustle and bustle of the city. It is right on King Street, which makes it an ideal location. There is plenty of street parking available or you can park at the garage for $32/day. 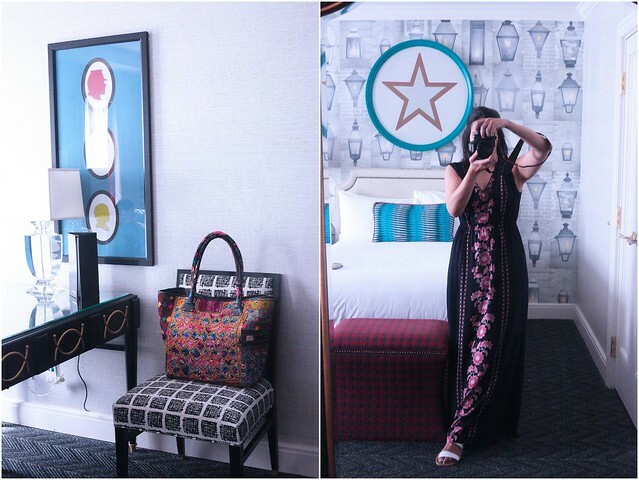 We were blown away by the decor and vibe of the hotel and it's rooms. 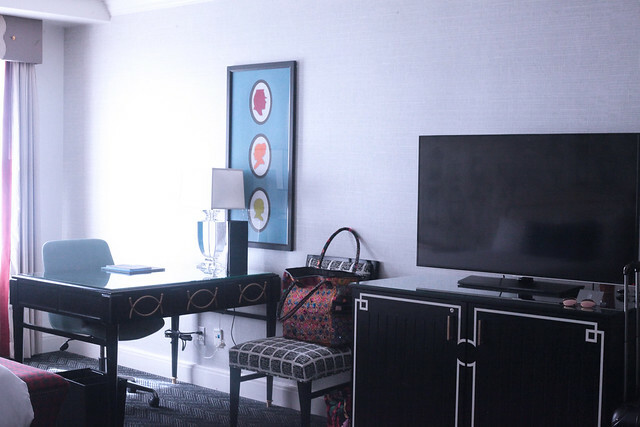 It is definitely not your cookie-cutter hotel room decor. We stayed in the deluxe room which was spacious and the beds were comfortable. 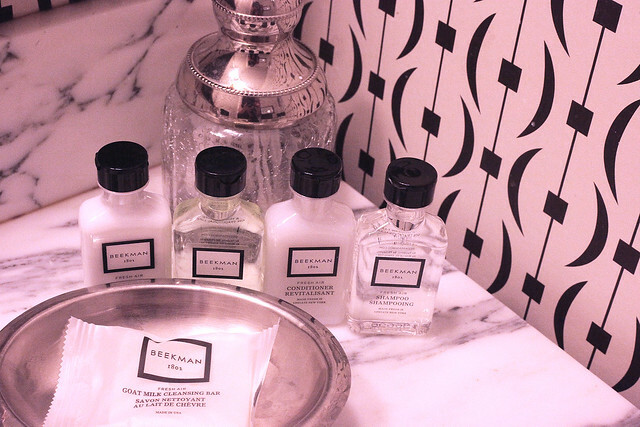 I loved the toiletries and the amenities available. There is 24/7 coffee, tea, and water service in the hotel lobby which was quite nice. On Saturday where is a farmer's market right around the corner from the hotel. We walked all around the old town, enjoying the brick roads and the colored doors. There is a free-trolley which runs up and down the King's Street from 10AM - 10PM but we much preferred to walk. The staff at the hotel was exceptionally friendly and efficient. One of the evenings we were at the National Harbor and needed someone to feed the parking meter for us, as the App wasn't working for some reason. I called the hotel and they were kind enough to help me out as a favor. 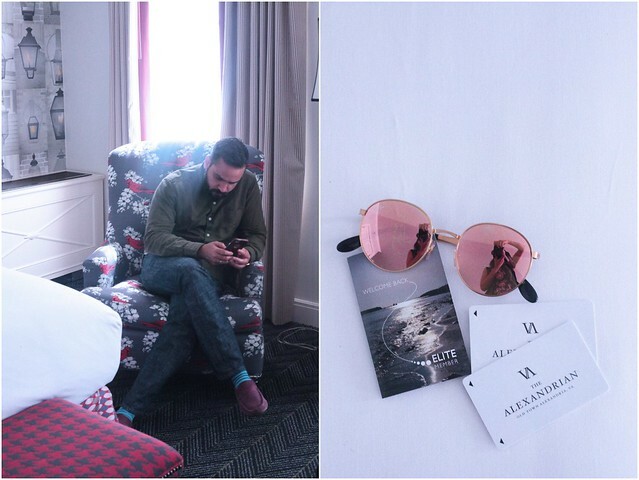 We had the most wonderful weekend in the Old Town and the highlight was our stay at the Alexandrian. I cannot recommend this property enough. 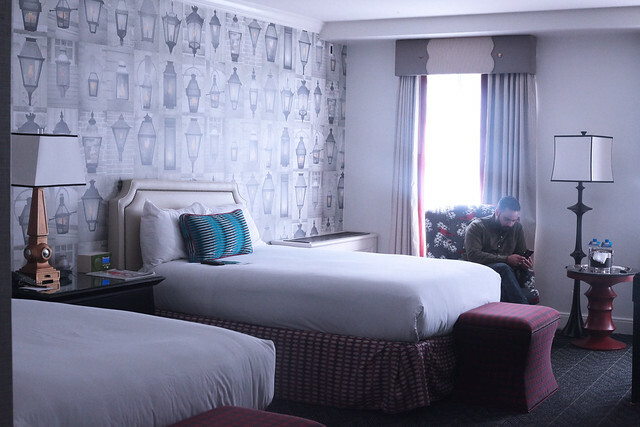 If you want great accommodations right in the middle of Old Town, this is the hotel for you. This place is so cute! Great for some home inspiration! This looks beautiful! I always love to hear and see what people think about hotels. It's always the best way to see and discover some on your own. What a lovely spot! The decor is really nice! Whoa, it really does look like a really nice place to stay! Relaxing and peaceful. Gotta bookmark this place for the next time I'm in the area! This looks like a great place for vacation. Hotel is cute. 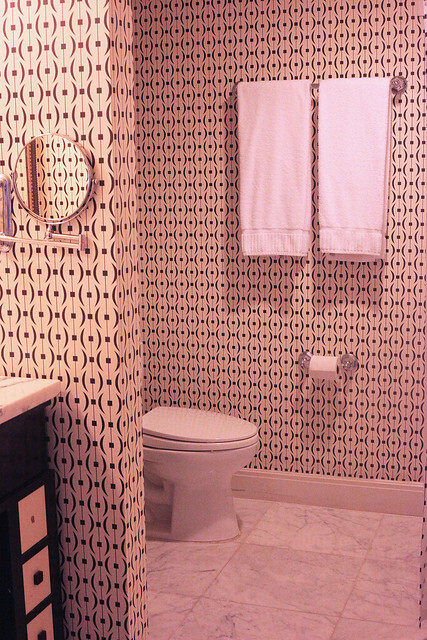 Love be the bathroom tiles. What fun decor! I love it when hotels have a little bit of the unexpected. I'm the same way -the kinds of toiletries they have in the bathroom can really take the experience up to the next level. Wow, what a stunning hotel. I love the black and white bathroom! Boutique hotels are my favorite! I'm actually headed to D.C. in a couple of months I should check this out! Very beautiful hotel! What a pretty hotel! Love the decor. The decor is lovely. The place looks fantastic. Beautiful hotel!the decor is awesome and so unique! Nice place to stay. I like the backdrop in the headboard. This place looks so amazing. Nice wall decor It looks more beautiful. This is an exquisite hotel room. I'm not a wallpaper person, but I am loving this one behind the bed. Glad you guys enjoyed your stay! The decor in the entire hotel room is awesome! It looks both comfortable and fashionable.